With a broad background in Marketing, Engineering and IT, Chris has led a varied professional career working for both multi-national and local companies. He has recently held positions at Curtin in marketing, recruitment and IT pivoting to a management role in recruitment at UWA in 2017. 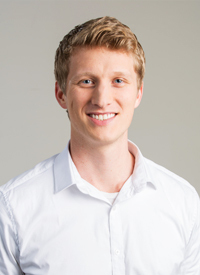 Chris completed his Bachelor of Engineering with First Class honours from Curtin in 2014. During his academic life he was awarded commendations from Faculty and industry partners including receiving the McGraw-Hill and RioTinto Awards in 2013 and 2014 respectively. He has also been a long-time volunteer of the university, holding roles as a Senior Student Ambassador, Ambassador, Engineering Alumni Committee Member, International Student Contact and Staff Group facilitator. Passionate about higher education, innovation and strategy, Chris is looking to broaden his involvement in the education sector focusing on improving Australian competiveness in the International Education market.